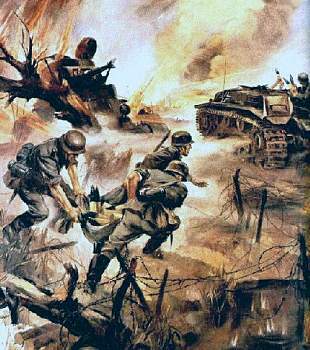 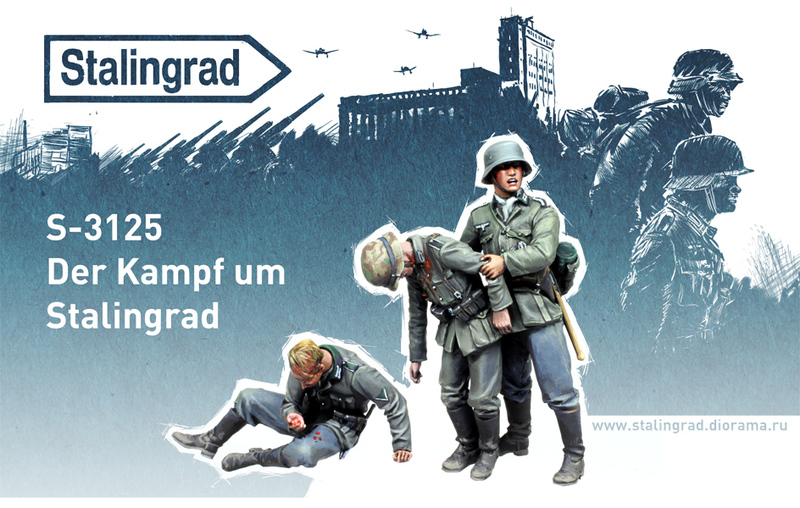 Stalingrad has sent information and pictures of a new set of three German soldiers in the battle of Stalingrad in WWII in desperate times. 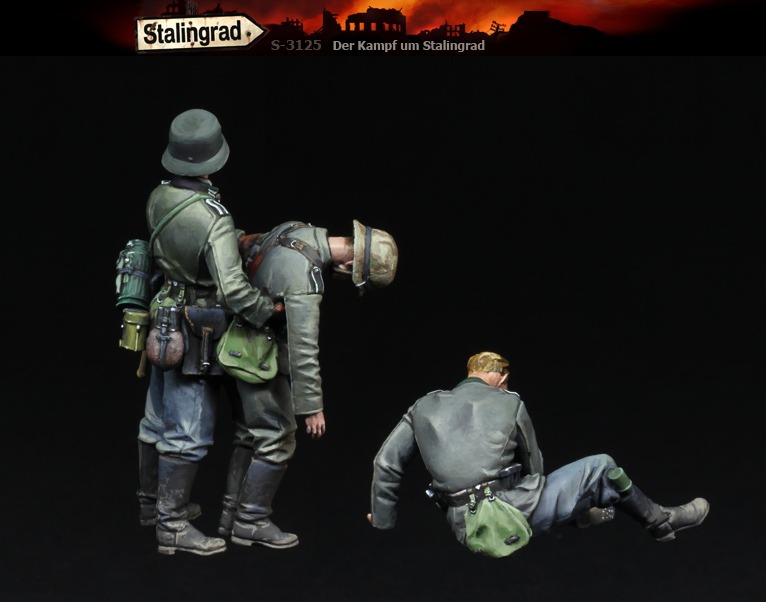 For his figures, we know and we show you the inspiration in figures or in material that Alexander Zelenkov uses to create his works, this one was a little different in that regard. 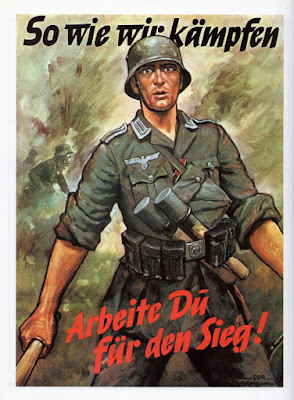 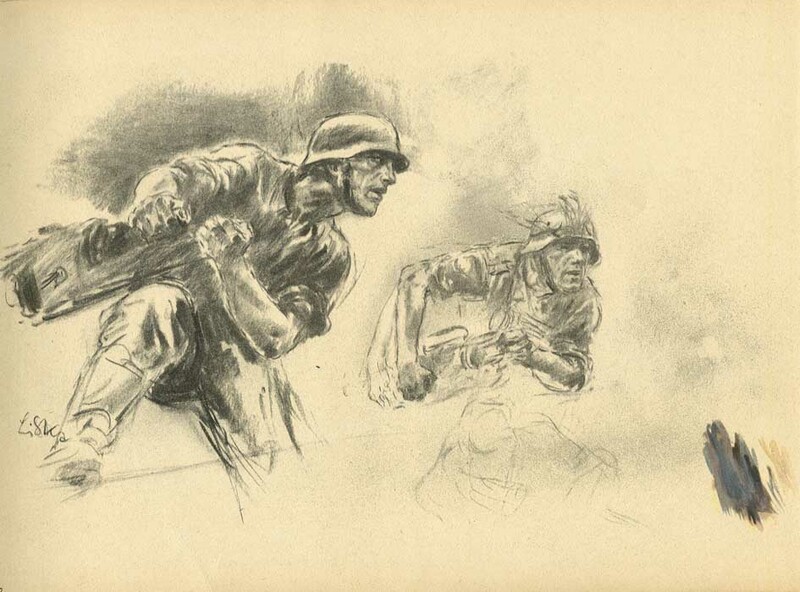 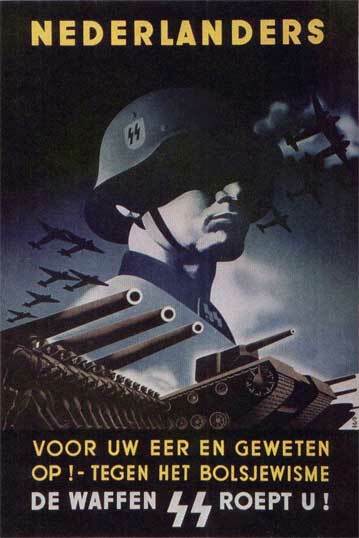 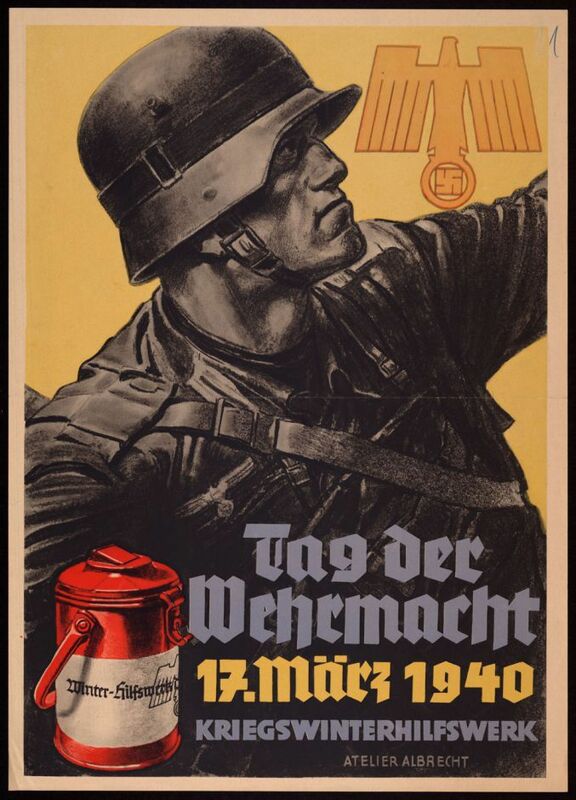 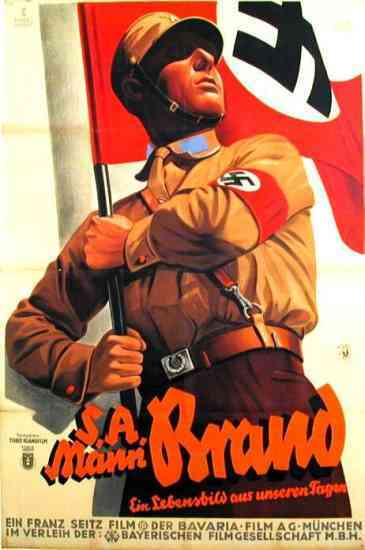 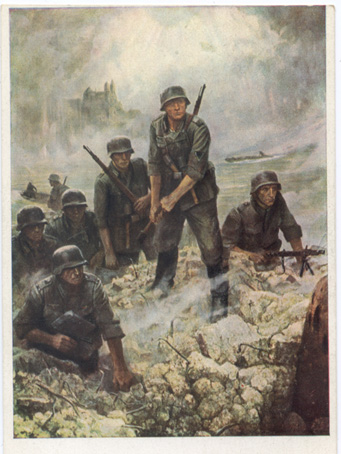 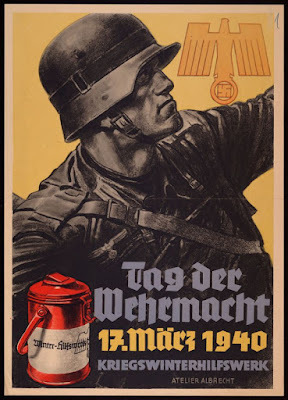 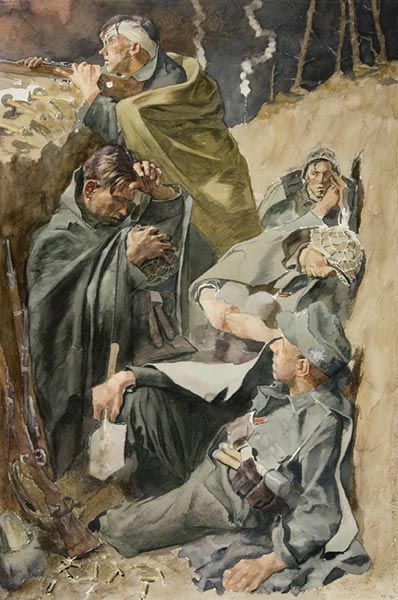 May be these German wartime pictures gave some inspiration to the scene - some German soldiers and officers also liked to make same pencil drawings or paintings in the style of the heroic propaganda-style poses shown in magazines or posters of the time. 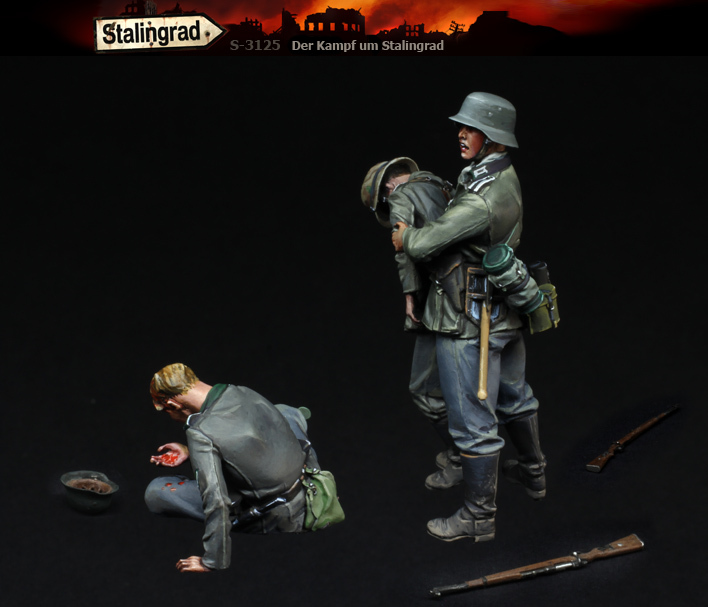 Here are these three figures - each made from light grey resin, and sold as a set of three in 1/35th scale. 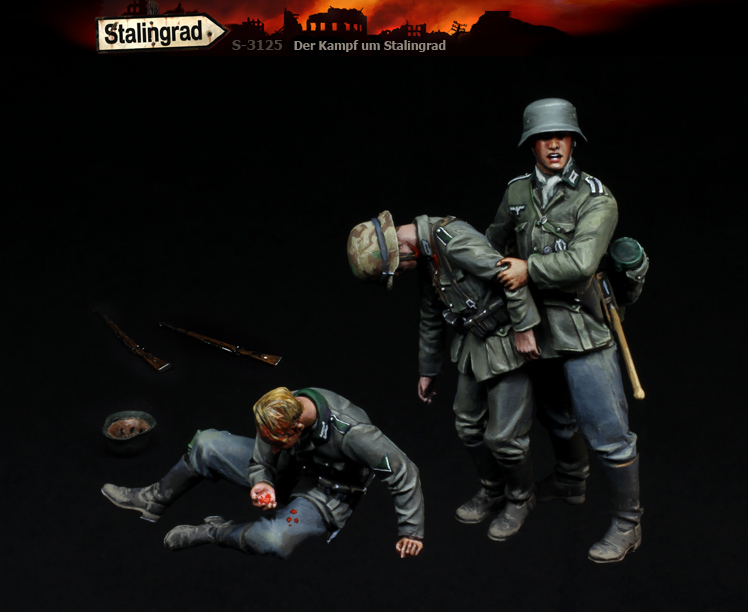 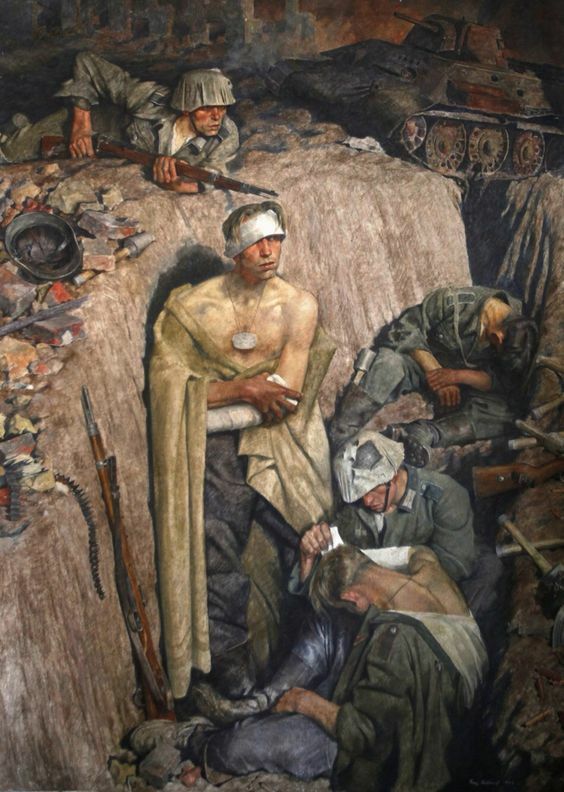 The scene sees three soldiers of the Wehrmacht in summer Stalingrad gear. 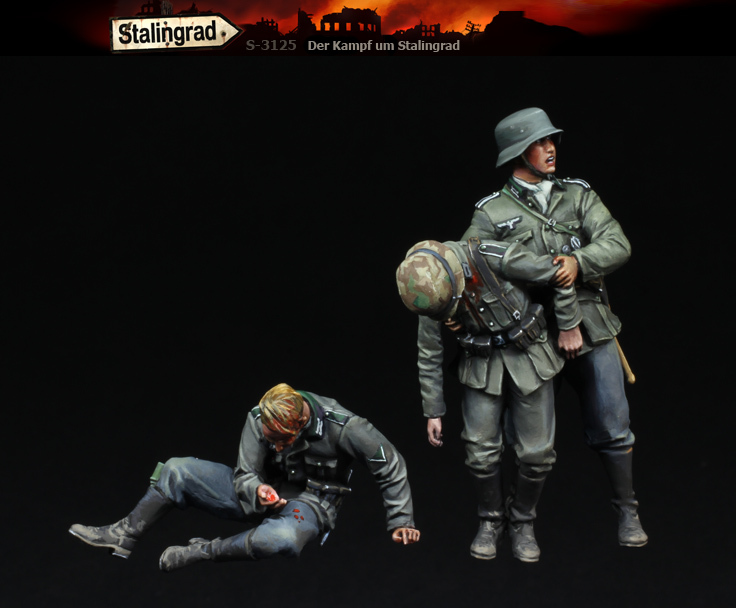 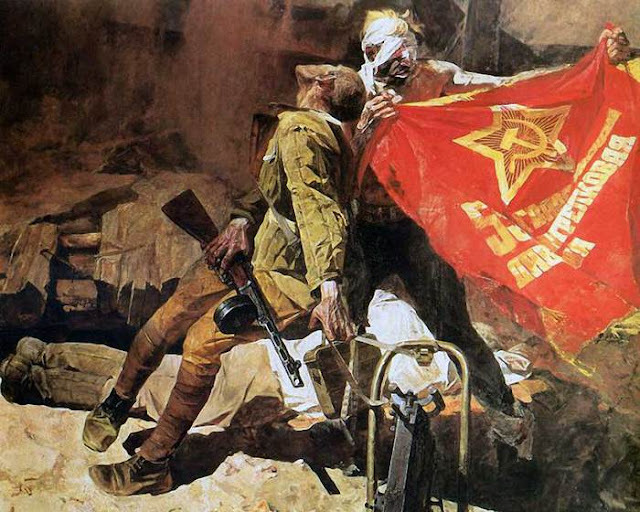 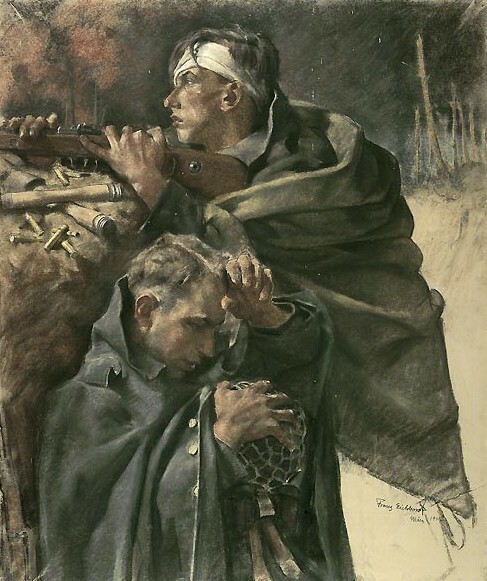 Two looking very worse for wear or wounded while their bother in arms sties to hold or support one of his comrades.